Skirts have always been a favorite of mine. I love that they are as versatile as pants and jeans, but there is the ability to create a dressier look as well. I had to make a conscious effort to stop buying skirts because I had too many. Right now I am mixing summer pieces in my fall wardrobe because it is still warm out. 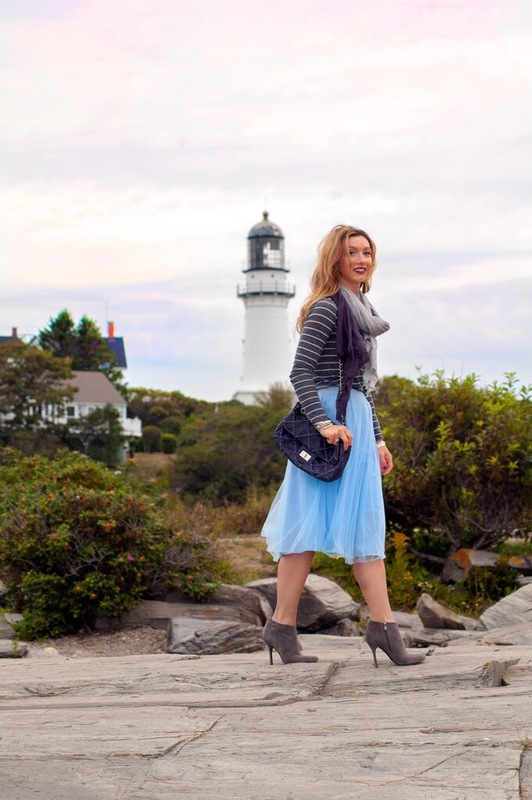 Pairing this skirt with darker items grounds the light blue. Wearing a closed toe shoe also helps in transitioning items into fall. All of my sandals are in the back of the closet and the boots are out! 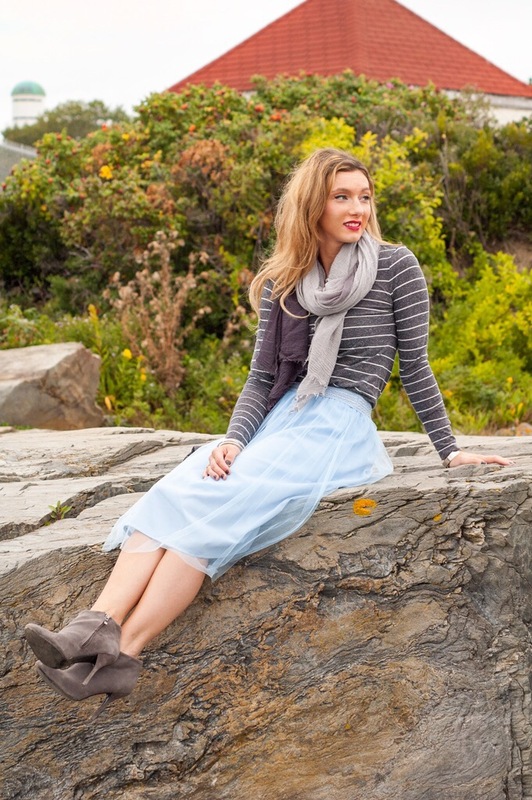 This summer, and transitioning into fall the midi skirt is back in style. I didn’t warm to the midi at first, since I am small I don’t like clothing items to cut me off which can make me look shorter than I am. I have realized that even “shorties” like me can wear midi length skirts. Wearing a heel or a sleek shoe will help elongate your look. I paired mine with a tight ankle bootie, which works better for this look than a moto ankle bootie.